Melbourne (AFP) - Johanna Konta on Thursday set up a mouth-watering third-round clash against former world number one Caroline Wozniacki at the Australian Open, with both players looking in fine touch. 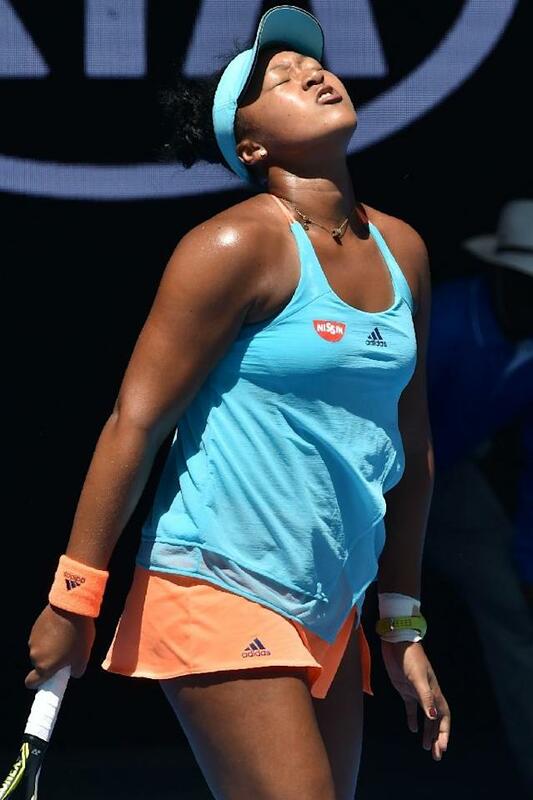 The British ninth seed, who made the semi-finals last year to kickstart a breakthrough season, doused the threat from promising 19-year-old Japanese Naomi Osaka 6-4, 6-2 on Rod Laver Arena. Dane Wozniacki followed her on court and dismantled Croatia's Donna Vekic 6-1, 6-3, barely putting a foot wrong. Both players are angling for a maiden Grand Slam title with the winner of their clash on Saturday potentially facing sixth seed Dominika Cibulkova in the fourth round and Serena Williams in the quarters. "There is still a lot of tennis to be played between now and the fourth round," said Konta, reflecting on the Wozniacki showdown. "It will be an incredibly tough one. Every round so far has been. I think my first round and also today, they were incredibly competent opponents. "But I'm looking forward to the challenge. I'm looking forward to trying. I'm looking forward to being out on court, competing, and ultimately I'm just trying to make my stay here in Melbourne as long as possible." Her win on Thursday was her 10th of the year, against just one defeat. 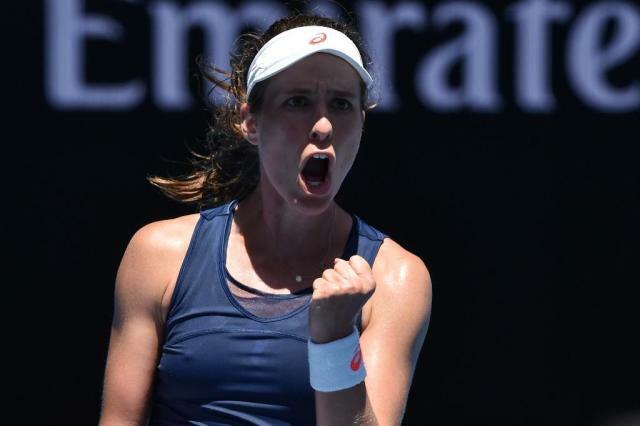 Coming off the back of winning the build-up Sydney International, the Sydney-born Konta has been improving by the day. But Osaka was no pushover, having proved her credentials by making the third round of all three Grand Slams she entered in 2016. She also made her first WTA final, at Tokyo where she lost to Wozniacki, and was named the WTA Newcomer of the Year. There was little between them in the opening games of the match as they traded groundstrokes looking for an opening. Konta had chances in the fifth game but blew two break point opportunities. But she made the most her next break point, slamming a backhand down the line to go 5-4 in front. Konta served out the set and quickly took charge in the second, breaking for a 2-1 lead and never relinquishing the advantage. Wozniacki was similarly dominant against Croatia's Vekic, whose boyfriend Stan Wawrinka was watching from the sidelines. The 17th seed has put injury struggles aside and enjoyed a resurgence over the past year. "I feel really good body-wise and mentally, which is huge for me," she said, adding that Konta would be a big test. "She plays really well. You know, big forehand, big serve. But I'm ready. I'm playing well. I'm excited for the challenge." She came flying out of the gates against 20-year-old Vekic, ranked 99 in the world, and raced to a 5-0 lead in a one-sided contest before the Croat got on the scoreboard. It was tighter in the second set but Wozniacki, who prides herself on being one of the fittest players on tour, chased down every ball and never gave up to run out an easy winner. Wozniacki's performance so far in Melbourne has been a welcome relief for someone who had been on a depressing downward slide at the first Grand Slam of the year. She made the semis in 2011 but regressed one stage each year since, exiting in the quarter-finals in 2012, then the fourth round, all the way to a first-round departure 12 months ago.